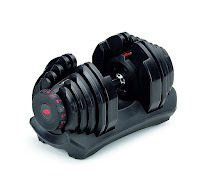 The Bowflex SelectTech ST 1090 Adjustable Dumbbell effectively offers multiple dumbbells in 1 unit! It features an innovative dial adjustment system to change the weight of the dumbbell, eliminating the need for a rack of dumbbells and there’s no more having to take dumbbells apart or having to add or remove weight plates yourself! Similar in design to the popular Bowflex ST 552, the SelectTech 1090 offers a higher weight selection range making this dumbbell suitable for stronger and more advanced weightlifters, allowing for a weightlifting range of between 10 and 90 lbs (instead of 5 to 52.5 lbs of the ST 552). The Bowflex SelectTech 1090 Adjustable Dumbbell is adjustable in 5 lb increments (10, 15, 20, 25, 30, 35, 40, 45, 50, 55, 60, 65, 70, 75, 80, 85, 90), giving you a total of 17 different weight settings to choose from – simply twist the end dials to change the weight (while the dumbbell is in its cradle) - the brackets inside the handle will automatically attach the weight plates to the bar for you – then simply pull the dumbbell out of its cradle and you’re ready to go! 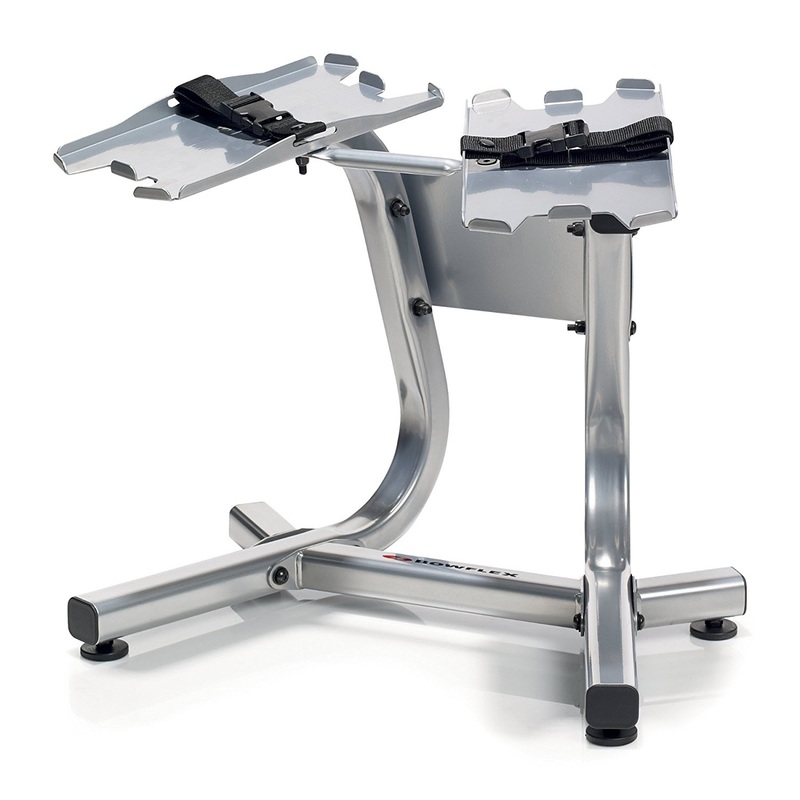 The unique adjustable system of the Bowflex SelectTech 1090 allows you to quickly and easily switch from one exercise to the next. Lifting is smooth and quiet thanks to the ST1090’s construction of durable molding surrounding metal plates. The Bowflex SelectTech ST 1090 Adjustable Dumbbell is available as a single or buy 2 as a pair and is also compatible with the SelectTech Dumbbell Stand (available separately) which eliminates the need to bend down to pick up the weights and also features a built-in towel rack. The Bowflex SelectTech 1090 Adjustable Dumbbell comes with a “Secrets of the 4-Step Rep” DVD which includes more than 30 exercises to tone and strengthen your body.